This edition of Legalease highlights Indigenous resistance to Canada 150. 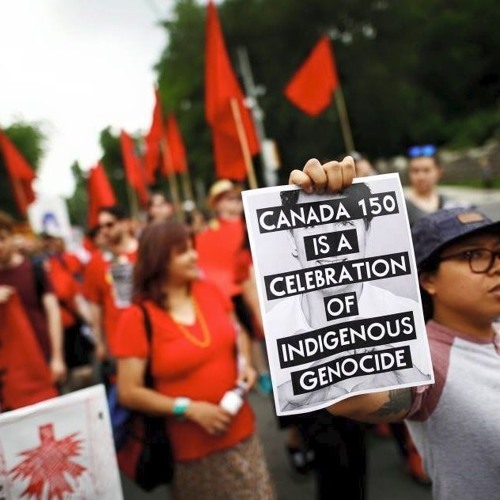 Featuring Secwepemc and Ktunaxa land defender Kanahus Manuel and Kanien’kaha’ka organizer Russell Diabo from Kahnawake, both of whom recently spoke on the panel “Don’t Believe the Hype: 150 Years of Migration on Stolen Land,” organized by No One is Illegal Toronto. They discuss the criminalization and resistance of Indigenous land defenders and the history of Indigenous-settler relations over the last 500 years. We also play an excerpt from the launch of Sylvia McAdam’s book, “Nationhood Interrupted: Revitalizing nêhiyaw Legal Systems,” produced by RezX Indigenous Voices, where she describes the language of colonial law and why she rejects the label “Indigenous-Canadian”.